Bad Luck! “Porb Pee Fah”…Fire Engulfs a Van, One by One the Jinx is Felt. The bad luck of “Porb Pee Fah,” actors left and right are feeling its jinx. Suddenly fire breaks out on one of the vans with any reasonable cause. One by one, the actors Ah’Dao Duangdao Jarujinda, Ae Pornthip, Yui Chiranan following one another into the hospital. Additionally, the cameraman hit with a stray bullet when p’ek Oil Thana was filming a sword fighting scene and lost his queue only to hit the cameraman’s fingers. Blood is shedding all around. No matter what “Porb Pee Fah” has already filmed up to 80%, and should be on air if not February 4th then the 5th for sure. you know i feel so nervous when you said a bad luck for pob pee fah.I feel my hope will disappear. all in all, is they still filming, wish they finished it.Work it good and wish no more strange thing happen and wish yui is work again with her charactor, she can do that.can i ask you, do the director has already pray to pee porb before filming.I feel so creepy for this article, first yui had nightmare now the actor started sick.However 80% for the lakorn is alreafy, it will be great job.It is creepy inside and outside for lakorn and reality so.It will make pop pee fah a hit.I reminded me of pob pee fah original, i heard it has a spirit appeared on it too while they shooting a drink bloody scene but not so creepy like theis new one.However, wish them all good luck, so do you too keep working on that and happy chinese new year in thailand at china town.It reminded me of chinese food. yeah the opening ceremony was already done but it’s still happening so possibly it needs to be bigger this time. 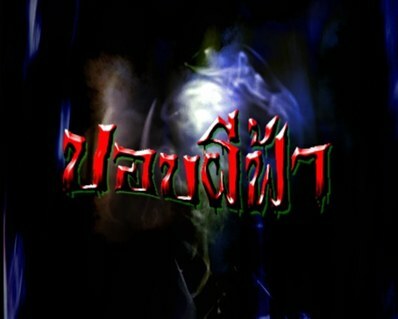 it should air soon so once pah loke bunterng ends i should be able to upload this lakorn. thank you for visiting often. you know i feel so nervous for this article when i saw bad luck pop fee fah.hope nothing wrong happened again.All in all, it already 80% filming.Wish yui is work again on her charactor.It great work.Can i ask you are the director pray to pee pob before filming as now there are a strange thing happen.First yui’s nightmare and now another’s.IT’s spooky abd creepy.It remind me of the original porb pee fah that i heard the director said the real pee pob on bloody drinking scene but not terrible like this new one.The new one is so creepy for inside and outside.It will scare alot of viewer for watching this and i hope it is a hit.Finally, wish them all good luck and also you kep working for writing the hot new like that.Love it and happy chinese year year in thailand at china town.Like chinese food. Ho i tell you one thing that my first comment is going to post but than error and delect. Ho don’t scare, it not some spooky do that maybe my computer error.Good bye see you for next comment.